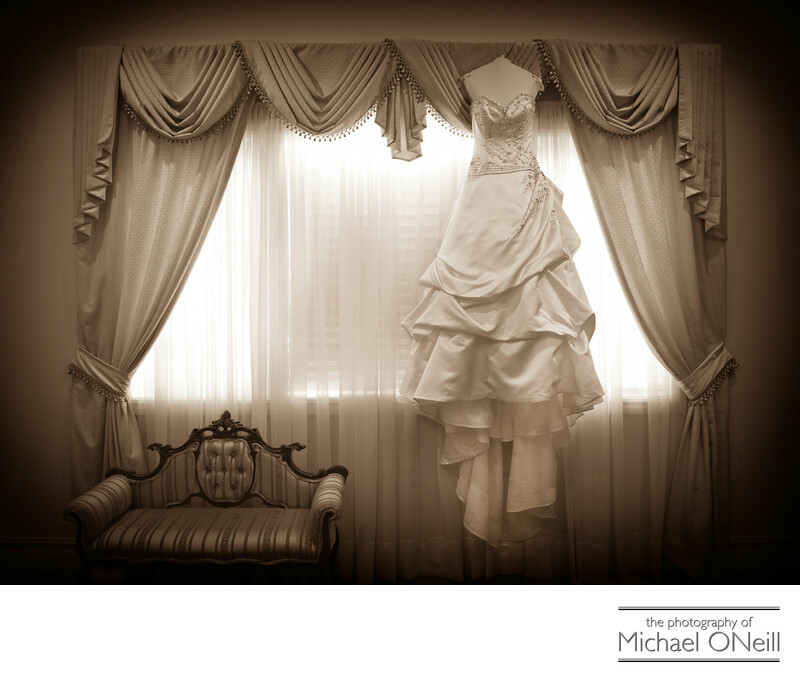 This wedding photograph was taken in the bride’s luxurious room at The Plaza Hotel in NYC. Minutes later the bride would put on this amazing wedding dress and would see her groom for the first time...The Reveal. I have had the experience of taking wedding pictures at all of New York City’s famous hotels: The Ritz Carlton Battery Park, The Pierre, The Parklane, The Essex House and The Waldorf Astoria. The Plaza has got to be my favorite NYC hotel for wedding photography. The architecture and the interior decorations are magnificent. The cuisine is world class. The accommodations are beyond comparison. Top shelf in every regard. One of the most amazing upscale venues I’ve ever worked at. You can take extraordinary photographs in almost every square inch of this hotel and can also step outside, onto the streets of Manhattan, and create some fun, casual, candid images amidst the hustle and bustle of the streets of New York. If you’re planning a Plaza Hotel wedding celebration give me a call. I’d love to be a part of your dream day.